Hi!!! I’m back this week with another food adventure! Okay, I admit, maybe going to a restaurant two miles from my house doesn’t really count as an adventure, but close enough. Let’s eat! Ding Tai Feng is one of the most popular Taiwanese joints EVER. It started in Taipei and has since spread to China, America and even the UAE. I’ve only been to the LA branch and loved it, despite the 30minute wait for seats. 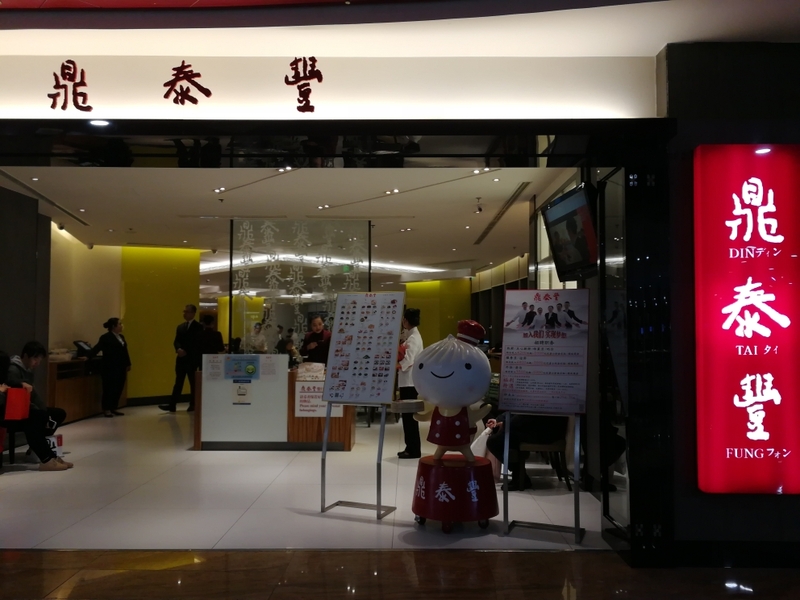 Lines aren’t a big problem at Shanghai’s Ding Tai Feng’s, after all, there are 6 (Twice as many as Taiwan has). As for quality, reviews are very mixed. Of course, I can’t judge a restaurant until I’ve tried the food. Chicken Xiaolong- I knew I had to try the Xiaolong, but I realized ordering the traditional pork versions was just going to waste stomach space. I wanted to try the Xiaolong I wouldn’t get elsewhere, hence, Chicken Xiaolong. I must say, I made the right decision. The meat, although slightly drier than pork, was still incredibly flavorful. The broth was just DIVINE- all the flavor, none of the grease. Snake Gourd and shrimp Xiaolong- I’m a sucker for dumplings with shrimp inside, but usually, a “shrimp dumpling” is just a whole lot of pork with a piece of shrimp. Not here. 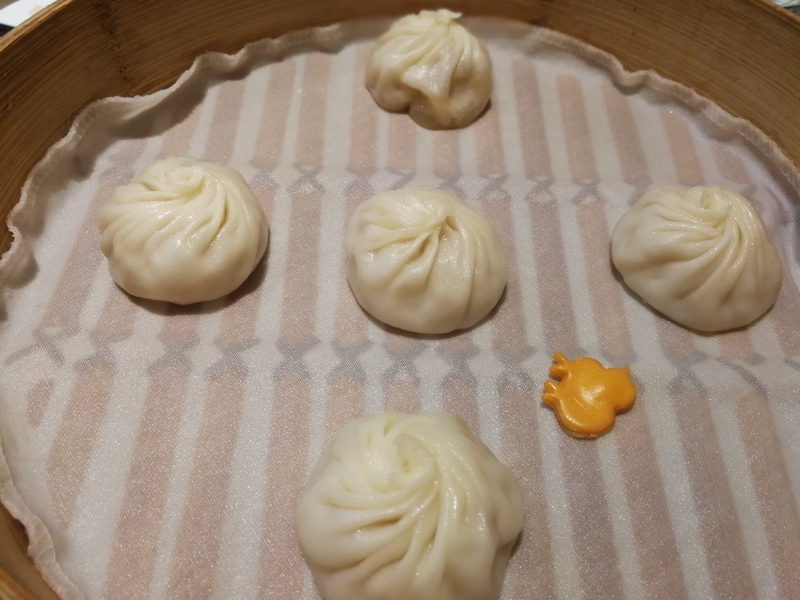 This dumpling is pure shrimp. But shrimp doesn’t have juice, so these couldn’t have been xiaolong, right? WRONG! 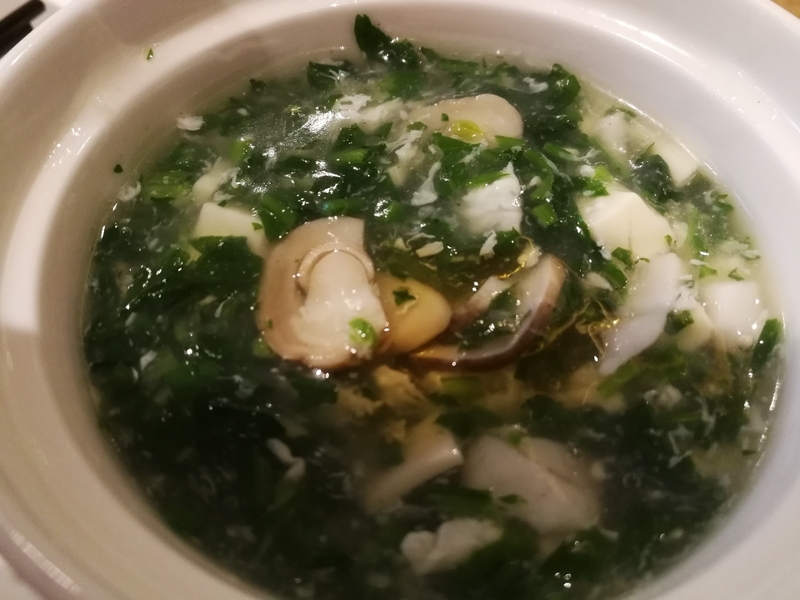 The snake gourd- a smooth, watery vegetable- helped create a refreshing and light, yet incredibly flavorful soup. ORDER THIS! 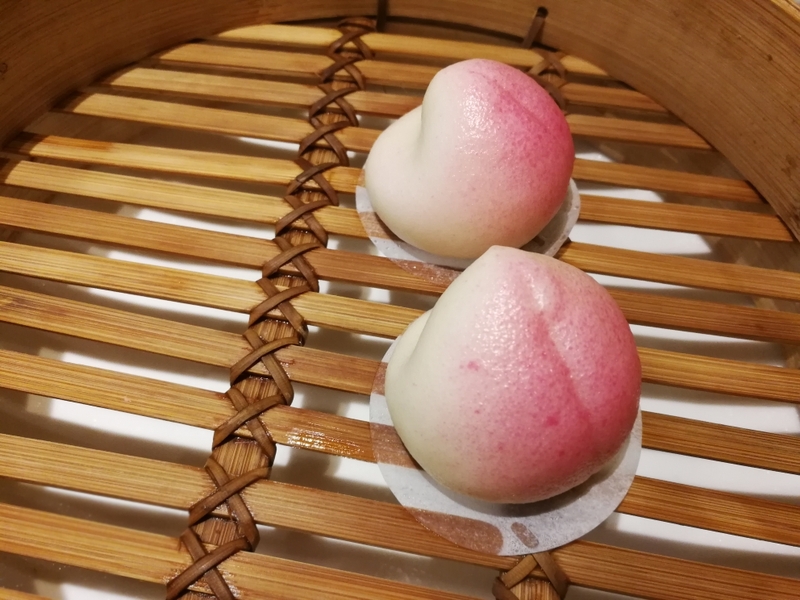 Longevity Peach buns- These buns may look fruity, but they’re actually filled with red bean paste. I personally don’t like sweet buns, but my bro does so I got two for him to try. 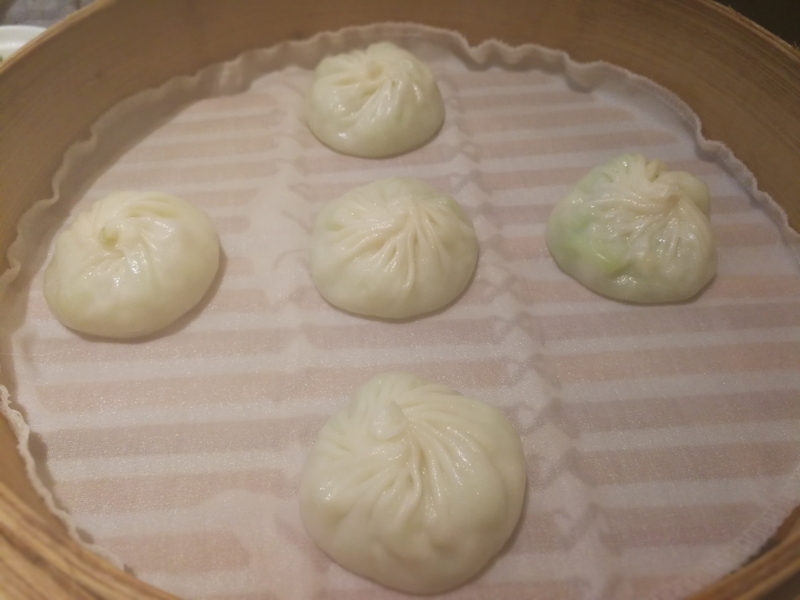 The buns were good and the paste was smooth and sweet, but these are nothing special. 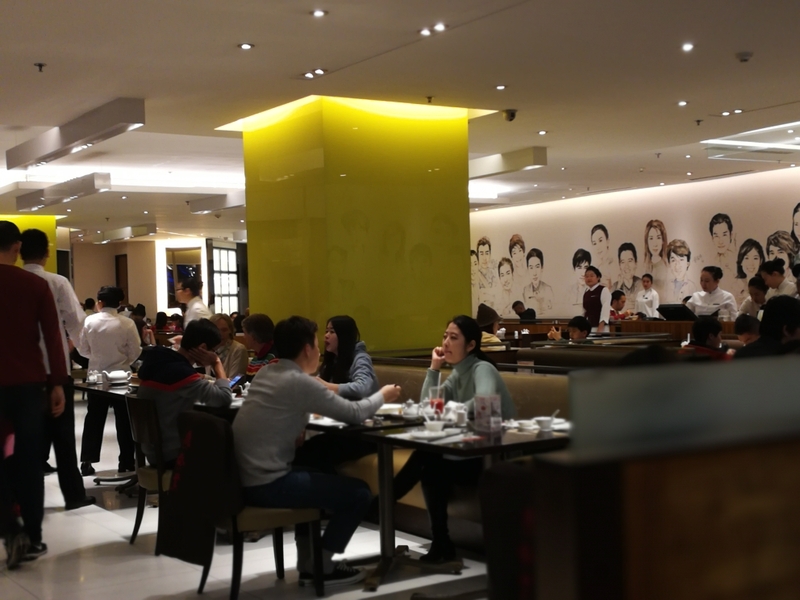 The atmosphere was the perfect combination between nice Chinese restaurant and hectic dim sum shop. The decor was comfortable and upscale, but we got a full view of the dim sum making Service was also pretty good. 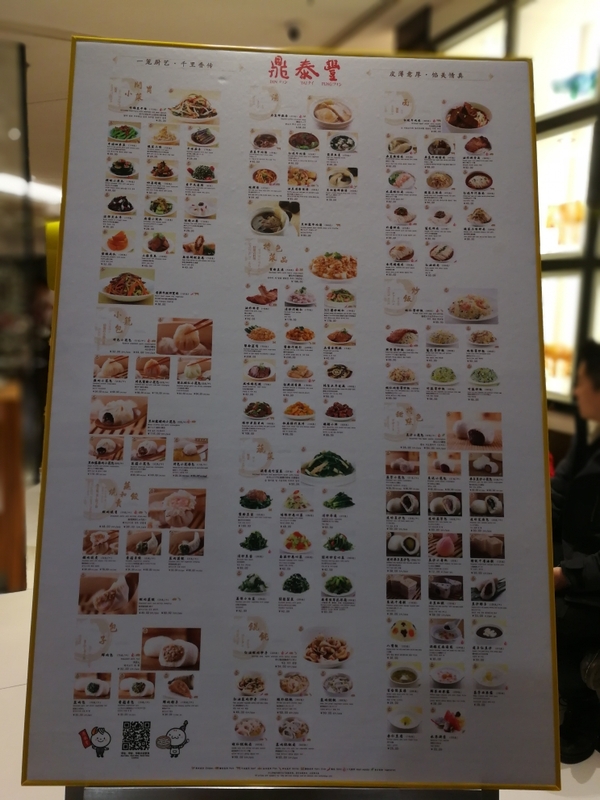 The staff were friendly and obliging but the steamed dishes took quite a while. Of course, I can’t hold that against them considering the volume of orders.